NIA Substation Transmission-Feeders | David Evans and Associates, Inc.
DEA (formerly TriAxis, a Division of David Evans and Associates) performed engineering and preparation of written specifications, bill of materials, and drawings for this transmission line feeder project. 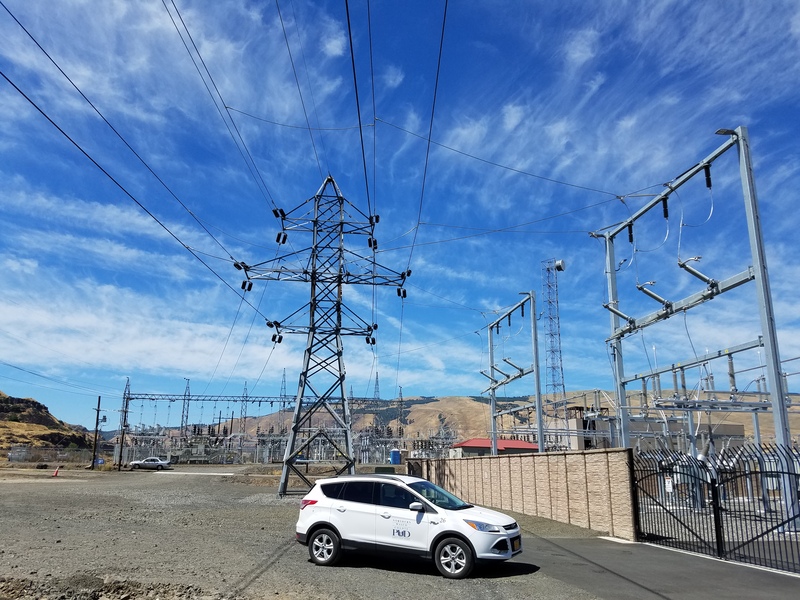 The first component of the project, “Interim Service Lines,” consisted of approximately 0.15 mile of two parallel, 13.8 kV double-circuit, three-phase, overhead distribution lines. At one deadend, the risers and conduit were installed for underground cable. This component crossed Rivertrail Way, near the BPA Chenoweth Substation, in the Columbia Gorge Industrial Center, The Dalles, and Wasco County, Oregon. Each of the two double circuit lines had a capacity of 33 MVA. The second component of the project, “Temporary Power Line,” consisted of approximately 450 feet of 13.8 kV single-circuit, three-phase, overhead distribution line. At the source deadend, a riser and conduit were installed for underground cable. This component was located along the north side of Rivertrail Way, near the BPA Chenoweth Substation, in the Columbia Gorge Industrial Center, The Dalles, and Wasco County, Oregon. This circuit has a capacity of 10 MVA.